Dr. Yang, Jwing-Ming translated these poems from the original Chinese, he has written additional commentaries to make them more accessible to contemporary minds. Insights from the Masters of Tai Chi Chuan is an invaluable resource for students who seek true understanding of their art. Share the Secrets of Great Tai Chi! Over the course of several centuries the Ancient Masters practiced and pondered the mystery and purpose of Tai Chi Chuan, preserving their profound insights in songs and poems. Shrouded in secrecy, these songs and poems were closely guarded jewels and have only been revealed to the public this century. 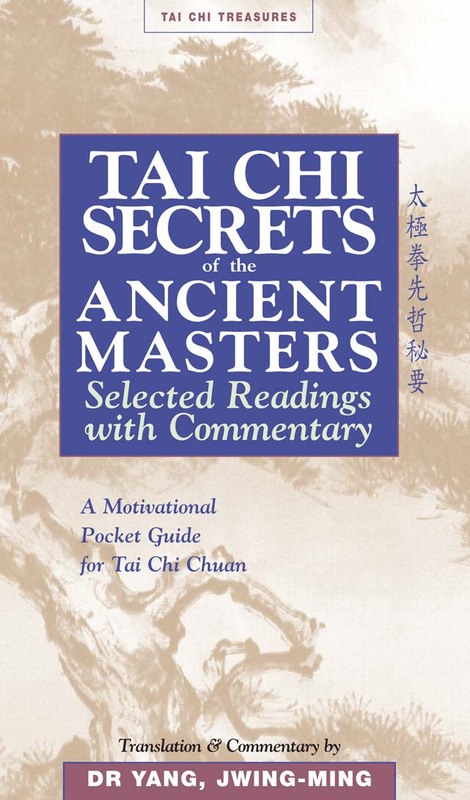 Now, you can reap the benefits of centuries of wisdom and practical experience to deepen and refine your Tai Chi Chuan. Discover ways to reach the essence of your Form and take your Push Hands (and sparring!) to higher levels, for not only has Dr. Yang, Jwing-Ming translated these poems from the original Chinese, he has written additional commentaries to make them more accessible to contemporary minds. Insights from the Masters of Tai Chi Chuan is an invaluable resource for students who seek true understanding of their art. Poems from Chang San-Feng and other great Masters!